Perhaps you know I have a special love of house plants, and hope to someday have my grandmothers' green thumbs. I enjoy tending to them and watching them so much more than I do my vegetable garden (unfortunately for my vegetables). I think its because they're impractical and needy, but also delicate and beautiful. 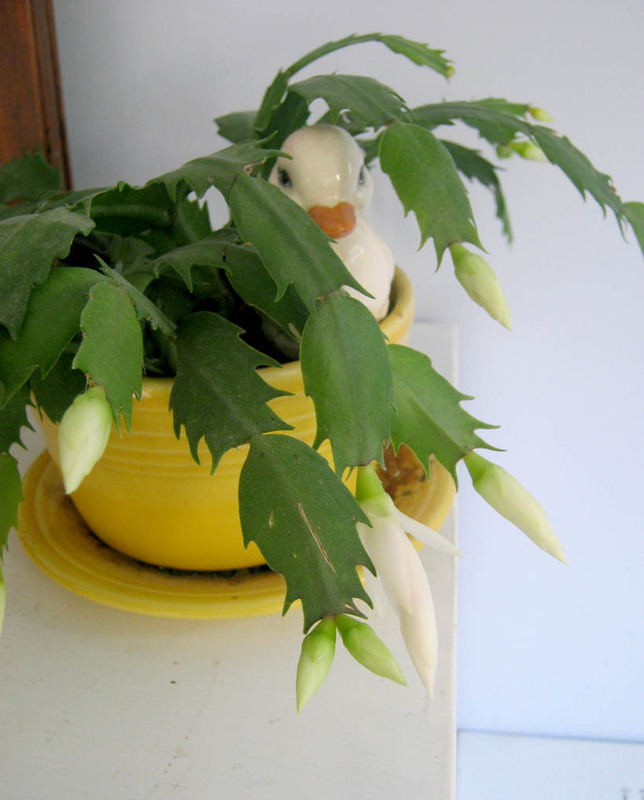 I bought this "Christmas" Cactus last year thinking it would be nice to have blooms in the winter. I learned that my cactus is actually a Thanksgiving cactus, however; and the name changing is just a bit of tricky marketing. 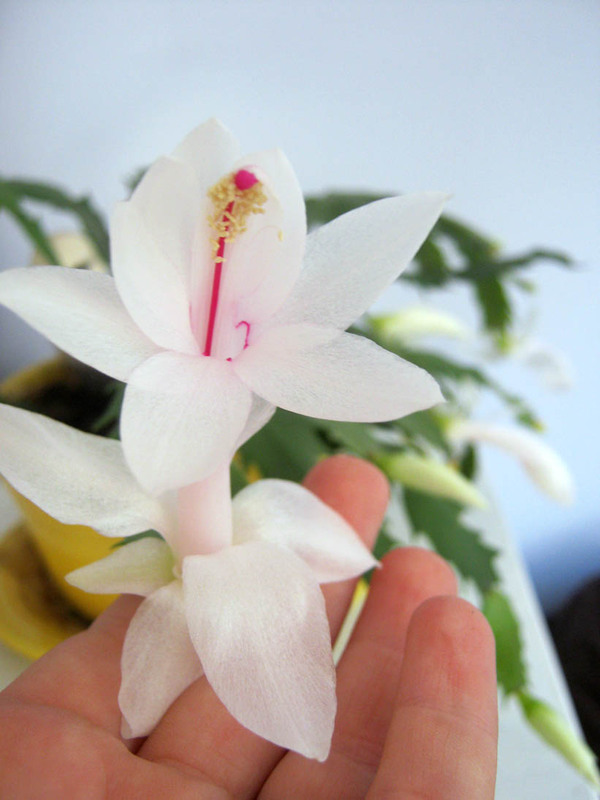 Nevertheless, I brought it indoors when the temperatures dropped, and I was delighted to find it covered in white buds a few days later. There is certainly something hopeful about a flower that blooms in the low cold months. It is a reminder of the joy of spring and what will be. But it is also the presence of the joy that is. Yesterday, a few buds opened revealing their breathtaking flowers. These lovely blooms will last through Christmas, a blessing for which I am very thankful. What's your favorite winter houseplant?